the drawings for ease of reference. 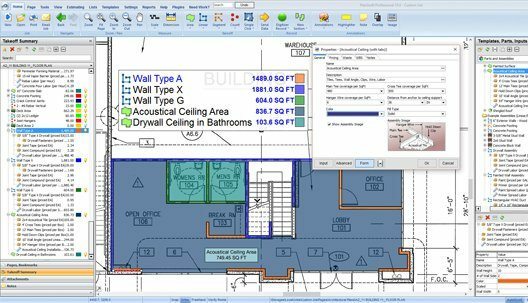 What does the #1 Takeoff and Estimating Software cost? For a one-off payment you receive a Licence for the Planswift software which is yours to keep. We also recommend that you “Future Proof” your copy by taking out the 12 month Maintenance Plan which guarantees all future versions and updates. Speak to us about discounts for multiple Licence purchases. Construction has a long standing and well deserved reputation for innovation and Planswift is another excellent example of this. 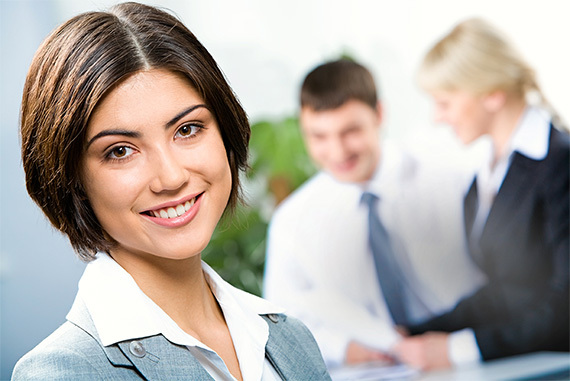 The software was first developed over 8 years ago and has been continuously improved to meet the growing demands of its users. The user friendly nature helps to get you started quickly and soon becomes an important factor in your business. Estimating is an essential part of construction but not all tenders lead to a contract so it is important to streamline it so that your tenders are delivered on time at the lowest cost. 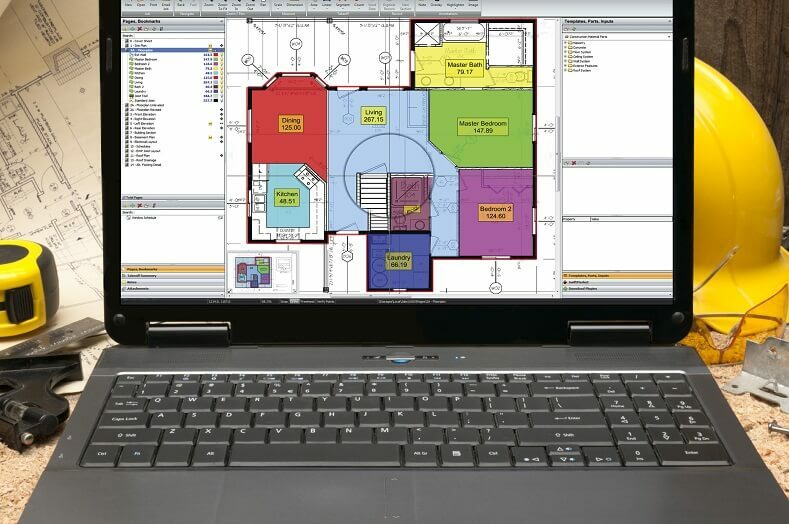 Thousands of construction companies now use Planswift to help them produce their estimates faster than before by providing the ability to take off quantities directly from their computer screens. The support service in UK and when necessary the USA Head Office Team is customer focused, the response is prompt, efficient and any issue is sorted and dealt with, you do not get passed around until you find you’re talking to the right person (in a recent issue with a corrupt license file, the USA customer service team rang me direct to clarify some points, and then sorted the problem – I was back up and running the same day). Planswift have their own Youtube channel with over 200 explanatory videos which you can refer to 24×7 which cover a wide range of topics for those times when you wonder how to achieve a certain outcome. 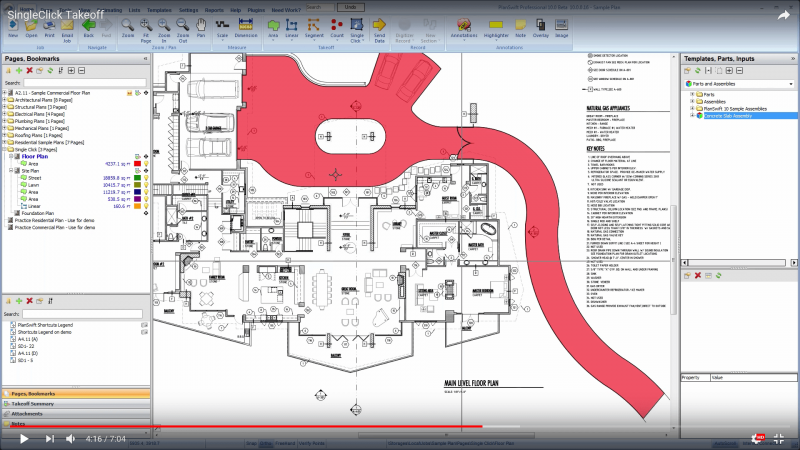 Drawings of all known formats are simply imported into Planswift where you can add job specific details and then you can set the scale and get started. Use our phone and email contact information to ask us any questions that you might have, we always prefer to speak with our clients as it gives us a better understanding of what is important to you. Download our FREE 14 day trial now and see for yourself how Planswift can make a positive contribution to your business. Compared with printing and then measuring Planswift is at least 10x faster. You can measure areas, linears and item counts and each measured item is identified by a chosen colour so that you can easily see what has been measured (and what has not) with the results summarised for you. These can then be exported to a spreadsheet of your choice where you can factor in material, labour and wastage to complete the process. For items that you use on a regular basis you can create your own cost database which is then dragged and dropped onto the measured area for a fully itemised list of costs. Our in-house training is available to help you with this and we can also create your database for you if this helps.